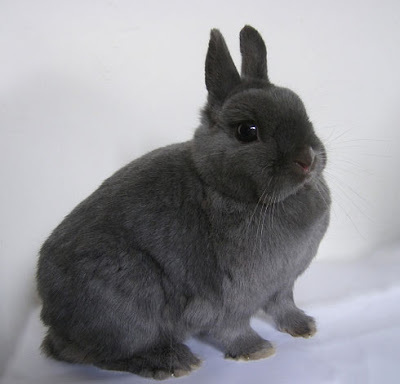 Netherland dwarf rabbit is probably the most popular rabbit breed when choosing a pet rabbit.There are a few reasons why people prefer them among other breeds.But like any others, they need good care to enjoy a healthy,happy lives. The Netherland dwarf rabbit is the smallest breed of rabbits.Their weight do not exceed 2 to 3 pounds.So of course they can have a smaller cage than the larger breeds.But they need just as much space to run and exercise on a daily basis. Dwarf rabbits comes in 36 different colors.Breeders have been able to mix them so much than almost any color is available in this breed.That give them great popularity in the rabbit show industry.A lot of choices are available to people who want to get a pet rabbit. Because they are smaller, they need less cleaning and less food than the larger breeds.Their diet should consist essentially in Timothy hay, Timothy hay based pellets,and a small daily portion of fresh green vegetables.Fruits should be given in moderation for their high sugar content. The Netherland dwarf rabbit has a playful,gentle and inquisitive personality.He may display some territorial and aggressive behavior if not spayed or neutered. It is important for the health of all rabbits to have them fixed by the age of 5 to 6 months old.First for health reasons , your rabbit will live a lot longer if altered and for social and behavior reasons.